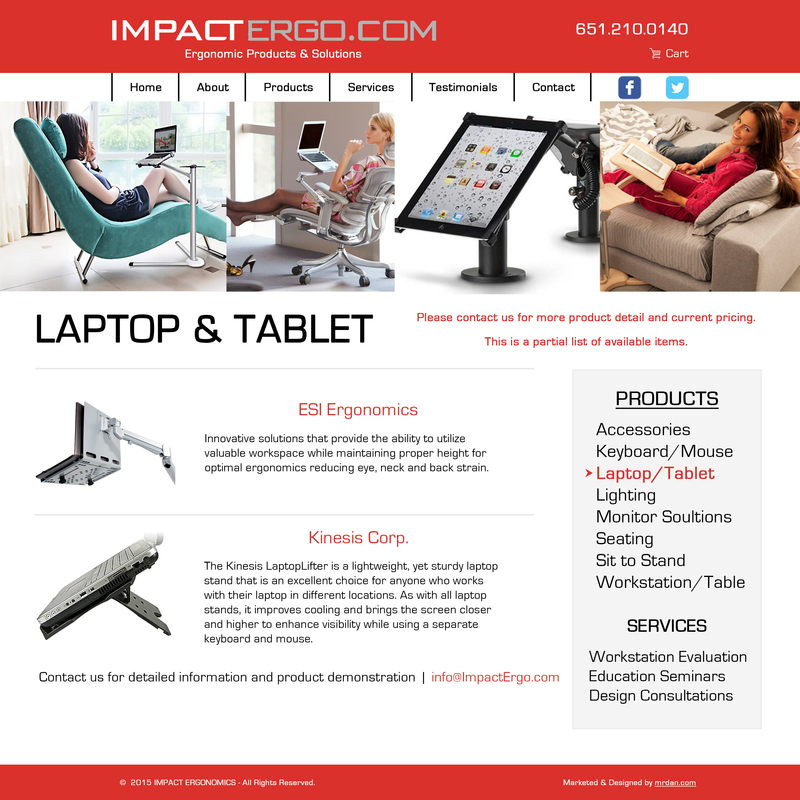 Web Site Design – Our agency designed, programmed and produced a custom web site that presents a variety of ergonomic furniture and seating collections. The site is responsive, visual and allows customers to select the furniture, chairs and ergonomically designed environments for their business and consumer needs. Our creative team produced various concepts and layouts before programming the final site. Our designers created a new brand identity, corporate logo and all marketing slogans. Our photography team photographed all products, outlined and color corrected them for inclusion in their on-line catalog. The site also includes an easy to use product section that allows for the purchasing and delivery of their selected materials. A simple and responsive content management system was implemented and allows for easy updates and new product uploads. Our agency hosts and provided SEO for better customer searches.